Our special guest this month will be Mr. Larry Bradbury. 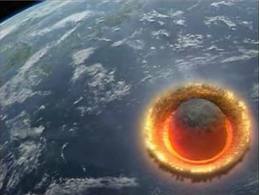 He will be speaking on a very interesting subject: Meteorites (Rocks from Space). 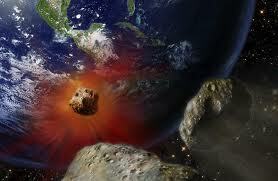 He will bring many of his collection pieces to the club meeting on Thursday May 3, 2012 @ 7:30 pm and will answer all your questions about meteorites. You don't want to miss this! 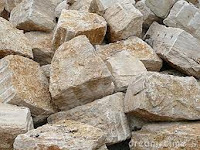 Limestone is a sedimentary rock composed largely of the minerals calcite and aragonite, which are different crystal forms of calcium carbonate. 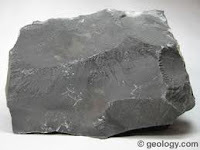 Many limestones are composed from skeletal fragments of marine organisms such as coral or foraminifera, which is a species of marine plankton. Limestone makes up about 10% of the total volume of all sedimentary rocks on Earth. 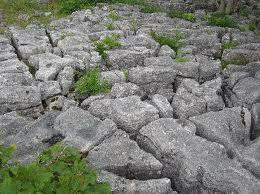 The solubility of limestone in water and weak acid solutions leads to karst landscapes, in which water erodes the limestone over thousands to millions of years. Most cave systems are through limestone bedrock. 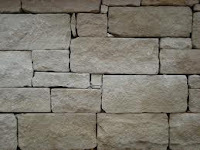 Limestone has numerous uses, including as building material, as aggregate to form the base of roads, as white pigment or filler in products such as toothpaste or paints, and as a chemical feedstock. During regional metamorphism that occurs during the mountain building process, limestone recrystallizes into marble.